PREMIUM 1 PACKAGE, DESIGNO MAGNOLIA FLOWING LINES WOOD, HEATED AND VENTILATED FRONT SEATS, HEATED STEERING WHEEL, BURMESTER SURROUND SOUND SYSTEM. MERCEDES-BENZ OF HUNTINGTON LOANER VEHICLE! SERVICED AT MERCEDES-BENZ OF HUNTINGTON! 26/20 Highway/City MPG CARFAX One-Owner. Clean CARFAX. The E-Coupe provides the utmost comfort and convenience, in an open an airy design. This vehicle sure is a beauty to look at, especially in your driveway! With the E-Coupe, you will jump at every opportunity to go for a drive, or even just get to look at the beautiful design of the exterior. With a class-exclusive pillar-less design, four power windows, and a giant Panorama sunroof, an E-Coupe offers airy openness with the strength of a Mercedes-Benz. Just picture yourself driving down the winding roads of the North Shore with all four windows down, getting a great constant breeze blowing through the cabin. The E-Coupe does not disappoint when it comes to providing an exhilarating driving experience. With individual seating for four passengers in a roomy and spacious cabin, you will almost forget you are in a 2-door coupe! The design of the interior of the E-Coupe does not miss any details, especially the designo® Magnolia Flowing Lines Wood trim featured in the interior of this E 400 Coupe. When inside the cabin, you can appreciate, the contouring Heated and Ventilated Front Seats, and the crisp and clear sound of the Burmester Surround Sound System. Not to mention with this vehicle having the Premium 1 Package, you get amazing features such as KEYLESS GO®, Blind Spot Assist, Active Parking Assist, and much more. Everything about the E-Coupe interior is inviting, almost as if the car wants you to take it for a spin! The E-Coupe provides a truly exceptional driving experience that you would only expect from a Mercedes-Benz.PREMIUM 1 PACKAGE, DESIGNO MAGNOLIA FLOWING LINES WOOD, HEATED AND VENTILATED FRONT SEATS, HEATED STEERING WHEEL, BURMESTER SURROUND SOUND SYSTEM. MERCEDES-BENZ OF HUNTINGTON LOANER VEHICLE! SERVICED AT MERCEDES-BENZ OF HUNTINGTON! 26/20 Highway/City MPG CARFAX One-Owner. Clean CARFAX. The E-Coupe provides the utmost comfort and convenience, in an open an airy design. This vehicle sure is a beauty to look at, especially in your driveway! With the E-Coupe, you will jump at every opportunity to go for a drive, or even just get to look at the beautiful design of the exterior. With a class-exclusive pillar-less design, four power windows, and a giant Panorama sunroof, an E-Coupe offers airy openness with the strength of a Mercedes-Benz. Just picture yourself driving down the winding roads of the North Shore with all four windows down, getting a great constant breeze blowing through the cabin. The E-Coupe does not disappoint when it comes to providing an exhilarating driving experience. With individual seating for four passengers in a roomy and spacious cabin, you will almost forget you are in a 2-door coupe! The design of the interior of the E-Coupe does not miss any details, especially the designo® Magnolia Flowing Lines Wood trim featured in the interior of this E 400 Coupe. When inside the cabin, you can appreciate, the contouring Heated and Ventilated Front Seats, and the crisp and clear sound of the Burmester Surround Sound System. Not to mention with this vehicle having the Premium 1 Package, you get amazing features such as KEYLESS GO®, Blind Spot Assist, Active Parking Assist, and much more. Everything about the E-Coupe interior is inviting, almost as if the car wants you to take it for a spin! The E-Coupe provides a truly exceptional driving experience that you would only expect from a Mercedes-Benz. PREMIUM 2 PACKAGE, LUXURY LINE, 19" 10-SPOKE WHEELS, ILLUMINATED DOOR SILLS WITH MERCEDES-BENZ LETTERING, BURMESTER SURROUND SOUND SYSTEM. MERCEDES-BENZ OF HUNTINGTON LOANER VEHICLE! 29/21 Highway/City MPG CARFAX One-Owner. Clean CARFAX. The E-Class Sedan is a masterpiece of elegance, just waiting to cater to you as the driver. Especially this E-Class with the Luxury Line, which sports the icnonic three-pointed star hood ornament, as well as design cues for the interior and exterior that place an emphasis on luxury. It can be considered an innovator of luxury sedans, being the most advanced E-Class yet. With equipped added features such as Active Parking Assist which helps you park your vehicle, KEYLESS GO®, as well as Blind Spot Assist, you'll feel up to date technology wise in this E 300. With the E-Class, you have not only a luxurious and elegant ride, but also a vehicle that puts safety as a number one priority. The E-Class provides technologies that have never been offered before, such as groundbreaking Car-to-X Technology. This Car-to-X technology connects your E-Class to a central information resource, to send you in-car updates about driving conditions before you get to them. Your E-Class can also report its own information, such as hazards in the road to alert other E-Class drivers. Other safety features such as PRESAFE® Sound and PRESAFE® Impulse, you are protected in all ways imaginable during the unfortunate event of a collision. The E-Class not only keeps you safe, but it provides the best of the best in your interior cabin. The E-Class sedan sports a panoramic 12.3-inch screen that provides navigation, entertainment and countless features, right in your eye-sight of view. The E-Sedan also boasts standard COMAND® navigation, so you always know the right direction to go. Along with these features, the cabin has fine-tailored seats paired with exotic wood trims, which accent perfectly at night perfectly with the 64-color ambient lighting. Day or night, the E-Sedan will look great inside, as well as outside.PREMIUM 2 PACKAGE, LUXURY LINE, 19" 10-SPOKE WHEELS, ILLUMINATED DOOR SILLS WITH MERCEDES-BENZ LETTERING, BURMESTER SURROUND SOUND SYSTEM. MERCEDES-BENZ OF HUNTINGTON LOANER VEHICLE! 29/21 Highway/City MPG CARFAX One-Owner. Clean CARFAX. The E-Class Sedan is a masterpiece of elegance, just waiting to cater to you as the driver. Especially this E-Class with the Luxury Line, which sports the icnonic three-pointed star hood ornament, as well as design cues for the interior and exterior that place an emphasis on luxury. It can be considered an innovator of luxury sedans, being the most advanced E-Class yet. With equipped added features such as Active Parking Assist which helps you park your vehicle, KEYLESS GO®, as well as Blind Spot Assist, you'll feel up to date technology wise in this E 300. With the E-Class, you have not only a luxurious and elegant ride, but also a vehicle that puts safety as a number one priority. The E-Class provides technologies that have never been offered before, such as groundbreaking Car-to-X Technology. This Car-to-X technology connects your E-Class to a central information resource, to send you in-car updates about driving conditions before you get to them. Your E-Class can also report its own information, such as hazards in the road to alert other E-Class drivers. Other safety features such as PRESAFE® Sound and PRESAFE® Impulse, you are protected in all ways imaginable during the unfortunate event of a collision. The E-Class not only keeps you safe, but it provides the best of the best in your interior cabin. The E-Class sedan sports a panoramic 12.3-inch screen that provides navigation, entertainment and countless features, right in your eye-sight of view. The E-Sedan also boasts standard COMAND® navigation, so you always know the right direction to go. Along with these features, the cabin has fine-tailored seats paired with exotic wood trims, which accent perfectly at night perfectly with the 64-color ambient lighting. Day or night, the E-Sedan will look great inside, as well as outside. PREMIUM PACKAGE, MULTIMEDIA PACKAGE, ILLUMINATED STAR, REARVIEW CAMERA, PANORAMA SUNROOF, HEATED STEERING WHEEL, 19" 5-SPOKE WHEELS, LED HEADLAMPS & TAILLAMPS, BURMESTER SURROUND SOUND SYSTEM. 21/28 City/Highway MPG The GLC brings you the best of both worlds...the athletic physique and drive of a sport sedan, with the extra utility and space of an SUV. With the GLC, you'll get all of the attention on the road with the features of big wheels, a long wheel-base, as well as crisp proportions and chrome details that make the GLC that much more eye-catching. Besides the GLC's handsome looks and the sporty drive it has, safety is also a priority like all Mercedes-Benz models. The GLC has won the 2018 IIHS Top Safety Pick, leaving you feeling safe and secure driving a GLC. The interior of the GLC is intuitive and adaptive to all of your senses, bringing you a luxurious and pleasurable ride wherever you may be going. From the crisp displays available on the dashboard, there's plenty of comfort and entertainment to make every drive a fun one. Also, with intuitive controls, hands-free Bluetooth® and easy-to-personalize settings will make technology feel like second nature to you. With all of the convenience that comes with the GLC, every journey will be a smooth sail for you in this SUV.PREMIUM PACKAGE, MULTIMEDIA PACKAGE, ILLUMINATED STAR, REARVIEW CAMERA, PANORAMA SUNROOF, HEATED STEERING WHEEL, 19" 5-SPOKE WHEELS, LED HEADLAMPS & TAILLAMPS, BURMESTER SURROUND SOUND SYSTEM. The GLC brings you the best of both worlds...the athletic physique and drive of a sport sedan, with the extra utility and space of an SUV. With the GLC, you'll get all of the attention on the road with the features of big wheels, a long wheel-base, as well as crisp proportions and chrome details that make the GLC that much more eye-catching. Besides the GLC's handsome looks and the sporty drive it has, safety is also a priority like all Mercedes-Benz models. The GLC has won the 2018 IIHS Top Safety Pick, leaving you feeling safe and secure driving a GLC. The interior of the GLC is intuitive and adaptive to all of your senses, bringing you a luxurious and pleasurable ride wherever you may be going. From the crisp displays available on the dashboard, there's plenty of comfort and entertainment to make every drive a fun one. Also, with intuitive controls, hands-free Bluetooth® and easy-to-personalize settings will make technology feel like second nature to you. With all of the convenience that comes with the GLC, every journey will be a smooth sail for you in this SUV. PREMIUM PACKAGE, CONVENIENCE PACKAGE, SMARTPHONE INTEGRATION PACKAGE, LED LOGO PROJECTORS, PANORAMA SUNROOF. Odometer is 661 miles below market average! 23/31 City/Highway MPG It's always been said that the best things come in small packages, and that is true with the Mercedes-Benz GLA. The GLA may be a smaller sized SUV, but it has the capability, interior room, and athletic genes of a large SUV. Not to mention the large Panorama Sunroof that stretches from the front of the vehicle to the back! Get going right away in this SUV with the push of the KEYLESS GO® button to start the vehicle. The design of the GLA can be best described as athletic, authentic, and adventurous, and this vehicle is always ready for any adventure or trip you'll decide to take it on. The cabin of the GLA makes a big impression, providing a spacious cabin that is flexible and finely tailored to the driver's and passenger's needs. You'll find the GLA is also full of convenient features, such as Blind Spot Assist, Heated Front Seats, and a Garage Door Opener. You'll be set for any road ahead of you in the GLA, and you'll have lots of fun driving it with features such as Hands-Free Bluetooth®, Dual USB audio ports, and Smartphone Integration through Apple CarPlay and Android Auto. If you're looking for a functional, fun, and convenient small SUV, then look no further with the Mercedes-Benz GLA!PREMIUM PACKAGE, CONVENIENCE PACKAGE, SMARTPHONE INTEGRATION PACKAGE, LED LOGO PROJECTORS, PANORAMA SUNROOF. It's always been said that the best things come in small packages, and that is true with the Mercedes-Benz GLA. The GLA may be a smaller sized SUV, but it has the capability, interior room, and athletic genes of a large SUV. Not to mention the large Panorama Sunroof that stretches from the front of the vehicle to the back! Get going right away in this SUV with the push of the KEYLESS GO® button to start the vehicle. The design of the GLA can be best described as athletic, authentic, and adventurous, and this vehicle is always ready for any adventure or trip you'll decide to take it on. The cabin of the GLA makes a big impression, providing a spacious cabin that is flexible and finely tailored to the driver's and passenger's needs. You'll find the GLA is also full of convenient features, such as Blind Spot Assist, Heated Front Seats, and a Garage Door Opener. You'll be set for any road ahead of you in the GLA, and you'll have lots of fun driving it with features such as Hands-Free Bluetooth®, Dual USB audio ports, and Smartphone Integration through Apple CarPlay and Android Auto. If you're looking for a functional, fun, and convenient small SUV, then look no further with the Mercedes-Benz GLA! PREMIUM PACKAGE, MULTIMEDIA PACKAGE, ILLUMINATED STAR, PANORAMA ROOF, HEATED STEERING WHEEL, LED HEADLAMPS & TAILLAMPS, BURMESTER SURROUND SOUND SYSTEM, HEATED FRONT SEATS. 21/28 City/Highway MPG The GLC brings you the best of both worlds...the athletic physique and drive of a sport sedan, with the extra utility and space of an SUV. This SUV starts at the push of a button thanks to the KEYLESS GO® feature. With the GLC, you'll get all of the attention on the road with the features of big wheels, LED Headlamps and Taillamps, an Illuminated Star shining bright in the front grille, as well as crisp proportions and chrome details that make the GLC that much more eye-catching. Besides the GLC's handsome looks and the sporty drive it has, safety is also a priority like all Mercedes-Benz models. The interior of the GLC is intuitive and adaptive to all of your senses, bringing you a luxurious and pleasurable ride wherever you may be going. The Heated Front Seats and Heated Steering Wheel will keep you warm and cozy no matter what the weather is outside. The Panorama Roof provides an open-air feel to the inside of the car, with a large sunroof that stretches from front to back. From the crisp displays available on the dashboard, there's plenty of comfort and entertainment to make every drive a fun one. The COMAND® Navigation System will keep you on track on any journey, and getting lost will be a thing of the past. Also, with intuitive controls, hands-free Bluetooth® and easy-to-personalize settings will make technology feel like second nature to you. With all of the convenience that comes with the GLC, every journey will be a smooth sail for you in this SUV.PREMIUM PACKAGE, MULTIMEDIA PACKAGE, ILLUMINATED STAR, PANORAMA ROOF, HEATED STEERING WHEEL, LED HEADLAMPS & TAILLAMPS, BURMESTER SURROUND SOUND SYSTEM, HEATED FRONT SEATS. The GLC brings you the best of both worlds...the athletic physique and drive of a sport sedan, with the extra utility and space of an SUV. This SUV starts at the push of a button thanks to the KEYLESS GO® feature. With the GLC, you'll get all of the attention on the road with the features of big wheels, LED Headlamps and Taillamps, an Illuminated Star shining bright in the front grille, as well as crisp proportions and chrome details that make the GLC that much more eye-catching. Besides the GLC's handsome looks and the sporty drive it has, safety is also a priority like all Mercedes-Benz models. The interior of the GLC is intuitive and adaptive to all of your senses, bringing you a luxurious and pleasurable ride wherever you may be going. The Heated Front Seats and Heated Steering Wheel will keep you warm and cozy no matter what the weather is outside. The Panorama Roof provides an open-air feel to the inside of the car, with a large sunroof that stretches from front to back. From the crisp displays available on the dashboard, there's plenty of comfort and entertainment to make every drive a fun one. The COMAND® Navigation System will keep you on track on any journey, and getting lost will be a thing of the past. Also, with intuitive controls, hands-free Bluetooth® and easy-to-personalize settings will make technology feel like second nature to you. With all of the convenience that comes with the GLC, every journey will be a smooth sail for you in this SUV. PREMIUM PACKAGE, LIGHTING PACKAGE, APPEARANCE PACKAGE, LANE TRACKING PACKAGE, PARKING ASSIST PACKAGE, ILLUMINATED STAR, PANORAMA SUNROOF, HEATED STEERING WHEEL, TRAILER HITCH, ANTHRACITE POPLAR WOOD TRIM, HARMAN/KARDON LOGIC 7 SURROUND SOUND SYSTEM, POWER EASY-ENTRY. Odometer is 8918 miles below market average! In the GLS, there is room for everyone to experience the luxury a Mercedes-Benz has to offer. With room for seven passengers, the GLS is eager to bring your whole family to your destination, in style as well as comfort. This SUV is a stylish trendsetter, sporting 20" 10-Spoke Wheels paired with Illuminated Running Boards, as well as brightly lit LED Headlamps with Adaptive Highbeam Assist. Everyone will enjoy the Panorama Sunroof, which stretches from the front of the vehicle to the back. In the front, you'll also find a Heated Steering Wheel to keep the driver cozy. The GLS is built and designed to set the bar for all other seven passenger luxury SUVs, with the GLS being built on the legacy of the S-Class sedan, and the legendary G-Class. It's an SUV with room for everyone while also being a stylish trendsetter. Inside the GLS, the cabin is easy to enter, and even easier to stay inside. With large side doors and the innovative Power EASY-ENTRY 2nd-row seats welcome additional passengers into the spacious third row seating. With features such as KEYLESS GO®, COMAND® Navigation, as well as Smartphone Integration through Apple CarPlay and Android Auto, convenience is a standard in the GLS. You'll enjoy even more convenient features brought to this SUV by the Parking Assist Package and Lane Tracking Package. Parking spots are a breeze in this SUV when using PARKTRONIC with Active Parking Assist paired with the Surround View Camera System. Blind Spot Assist helps you see what is in your blind spot, and Lane Keeping Assist will alert you if you are drifting out of your lane, keeping you on track and ready to go! Whether you are a passenger, or the driver, you'll find it hard to want to leave the cabin. Made with the highest craftsmanship you would only expect from Mercedes-Benz, the GLS is determined to please all your vehicle needs, as well as your passengers.PREMIUM PACKAGE, LIGHTING PACKAGE, APPEARANCE PACKAGE, LANE TRACKING PACKAGE, PARKING ASSIST PACKAGE, ILLUMINATED STAR, PANORAMA SUNROOF, HEATED STEERING WHEEL, TRAILER HITCH, ANTHRACITE POPLAR WOOD TRIM, HARMAN/KARDON LOGIC 7 SURROUND SOUND SYSTEM, POWER EASY-ENTRY. Odometer is 8918 miles below market average! In the GLS, there is room for everyone to experience the luxury a Mercedes-Benz has to offer. With room for seven passengers, the GLS is eager to bring your whole family to your destination, in style as well as comfort. This SUV is a stylish trendsetter, sporting 20" 10-Spoke Wheels paired with Illuminated Running Boards, as well as brightly lit LED Headlamps with Adaptive Highbeam Assist. Everyone will enjoy the Panorama Sunroof, which stretches from the front of the vehicle to the back. In the front, you'll also find a Heated Steering Wheel to keep the driver cozy. The GLS is built and designed to set the bar for all other seven passenger luxury SUVs, with the GLS being built on the legacy of the S-Class sedan, and the legendary G-Class. It's an SUV with room for everyone while also being a stylish trendsetter. Inside the GLS, the cabin is easy to enter, and even easier to stay inside. With large side doors and the innovative Power EASY-ENTRY 2nd-row seats welcome additional passengers into the spacious third row seating. With features such as KEYLESS GO®, COMAND® Navigation, as well as Smartphone Integration through Apple CarPlay and Android Auto, convenience is a standard in the GLS. You'll enjoy even more convenient features brought to this SUV by the Parking Assist Package and Lane Tracking Package. Parking spots are a breeze in this SUV when using PARKTRONIC with Active Parking Assist paired with the Surround View Camera System. Blind Spot Assist helps you see what is in your blind spot, and Lane Keeping Assist will alert you if you are drifting out of your lane, keeping you on track and ready to go! Whether you are a passenger, or the driver, you'll find it hard to want to leave the cabin. Made with the highest craftsmanship you would only expect from Mercedes-Benz, the GLS is determined to please all your vehicle needs, as well as your passengers. PREMIUM PACKAGE, CONVENIENCE PACKAGE, SMARTPHONE INTEGRATION PACKAGE, 18" 5-SPOKE WHEELS, ILLUMINATED STAR, REAR DECK SPOILER, PANORAMA ROOF. 24/32 City/Highway MPG All the aspects of the CLA are exhilarating, from the sleek exterior, to the sporty drive, all the way to the modern interior. You'll love having this beautiful 4-door-coupe sitting in your driveway. Looking at the exterior of the vehicle, you'll experience love at first sight looking at the sculpted and flowing curves of the vehicle, paired with 18" 5-Spoke Alloy Wheels and a Rear Deck Spoiler. The expressive design of the CLA makes it a truly modern Mercedes-Benz 4-door-coupe. The CLA also has many features that further add to the appeal of the vehicle. You can get the vehicle started with just the push of a button, with KEYLESS GO®. Stay cozy and warm from the Heated Front Seats. Inside the vehicle you'll find a standard central controller paired with a colorful and modern 8-inch display. You'll stay fully connected in the CLA with Smartphone Integration through Apple CarPlay and Android Auto. You'll enjoy having tons of technology available to you right at your fingertips, such as Hands-Free Bluetooth®, Blind Spot Assist, and a Garage Door Opener. With all of these features packed into the CLA, you'll have the time of your life driving inside of it.PREMIUM PACKAGE, CONVENIENCE PACKAGE, SMARTPHONE INTEGRATION PACKAGE, 18" 5-SPOKE WHEELS, ILLUMINATED STAR, REAR DECK SPOILER, PANORAMA ROOF. All the aspects of the CLA are exhilarating, from the sleek exterior, to the sporty drive, all the way to the modern interior. You'll love having this beautiful 4-door-coupe sitting in your driveway. Looking at the exterior of the vehicle, you'll experience love at first sight looking at the sculpted and flowing curves of the vehicle, paired with 18" 5-Spoke Alloy Wheels and a Rear Deck Spoiler. The expressive design of the CLA makes it a truly modern Mercedes-Benz 4-door-coupe. The CLA also has many features that further add to the appeal of the vehicle. You can get the vehicle started with just the push of a button, with KEYLESS GO®. Stay cozy and warm from the Heated Front Seats. Inside the vehicle you'll find a standard central controller paired with a colorful and modern 8-inch display. You'll stay fully connected in the CLA with Smartphone Integration through Apple CarPlay and Android Auto. You'll enjoy having tons of technology available to you right at your fingertips, such as Hands-Free Bluetooth®, Blind Spot Assist, and a Garage Door Opener. With all of these features packed into the CLA, you'll have the time of your life driving inside of it. PREMIUM PACKAGE, LUXURY STYLING, PARKING ASSISTANCE PACKAGE, 18" TWIN 5-SPOKE WHEELS, COMFORT BOX, BLIND SPOT ASSIST, HEATED STEERING WHEEL, BURMESTER SURROUND SOUND SYSTEM, POWER REAR-WINDOW SUNSHADE, 4MATIC®. 21/29 City/Highway MPG The 2019 E-Class Sedan is everything you could want and more in a luxury sedan. Classy and sophisticated, yet sporty and youthful, you'll find yourself wanting to go on any drive possible in the E-Class. Especially with all of the features that are LOADED inside of this vehicle! At first look, the E 300 is simply stunning, with Luxury styling giving the vehicle a traditional Mercedes-Benz Hood Ornament. Get going right away with the push of a button, thanks to KEYLESS GO®. Stay nice and cozy no matter what the weather is from the Heated Steering Wheel. Listen to all of your favorite tunes in crystal clear sound from the Burmester Surround Sound System! Not to mention, you can stay organized in this vehicle with the Comfort Box in the trunk, which keeps everything safe and neat in the trunk during your drive. Parking spots are no longer a challenge in the E-Class, thanks to the Parking Assistance Package which features Active Parking Assist paired with a Surround View Camera. The E-Class wants to assist you in any way possible, and you'll feel confident to take on any parking lot. Not to mention, this vehicle is also equipped with Blind Spot Assist, to keep you more alert of who is in your pesky blind spot. All in all, the E-Class comes with everything you could want and more in a Mercedes-Benz vehicle.PREMIUM PACKAGE, LUXURY STYLING, PARKING ASSISTANCE PACKAGE, 18" TWIN 5-SPOKE WHEELS, COMFORT BOX, BLIND SPOT ASSIST, HEATED STEERING WHEEL, BURMESTER SURROUND SOUND SYSTEM, POWER REAR-WINDOW SUNSHADE, 4MATIC®. The 2019 E-Class Sedan is everything you could want and more in a luxury sedan. Classy and sophisticated, yet sporty and youthful, you'll find yourself wanting to go on any drive possible in the E-Class. Especially with all of the features that are LOADED inside of this vehicle! At first look, the E 300 is simply stunning, with Luxury styling giving the vehicle a traditional Mercedes-Benz Hood Ornament. Get going right away with the push of a button, thanks to KEYLESS GO®. Stay nice and cozy no matter what the weather is from the Heated Steering Wheel. Listen to all of your favorite tunes in crystal clear sound from the Burmester Surround Sound System! Not to mention, you can stay organized in this vehicle with the Comfort Box in the trunk, which keeps everything safe and neat in the trunk during your drive. Parking spots are no longer a challenge in the E-Class, thanks to the Parking Assistance Package which features Active Parking Assist paired with a Surround View Camera. The E-Class wants to assist you in any way possible, and you'll feel confident to take on any parking lot. Not to mention, this vehicle is also equipped with Blind Spot Assist, to keep you more alert of who is in your pesky blind spot. All in all, the E-Class comes with everything you could want and more in a Mercedes-Benz vehicle. Polar White 2019 Mercedes-Benz CLA CLA 250 4MATIC® 4MATIC® 7-Speed Automatic 2.0L I4 Turbocharged PREMIUM PACKAGE, CONVENIENCE PACKAGE, SMARTPHONE INTEGRATION PACKAGE, BLACK ASH MATTE WOOD TRIM, PANORAMA ROOF. Recent Arrival! 37/24 Highway/City MPG All the aspects of the CLA are exhilarating, from the sleek exterior, to the sporty drive, all the way to the modern interior. You’ll love having this beautiful 4-door-coupe sitting in your driveway. Looking at the exterior of the vehicle, you’ll experience love at first sight looking at the sculpted and flowing curves of the vehicle, paired with a diamond-block grille and frameless door glass. The expressive design of the CLA makes it a truly modern Mercedes-Benz 4-door-coupe. The CLA also has many standard features that further add to the appeal of the vehicle. Inside the vehicle you’ll find a standard central controller paired with a colorful and modern 8-inch display. You’ll enjoy having tons of technology available to you right at your fingertips, such as Hands-Free Bluteooth, a USB audio port, and HD Radio. With all of these features packed into the CLA, you’ll have the time of your life driving inside of it.Polar White 2019 Mercedes-Benz CLA CLA 250 4MATIC® 4MATIC® 7-Speed Automatic 2.0L I4 Turbocharged PREMIUM PACKAGE, CONVENIENCE PACKAGE, SMARTPHONE INTEGRATION PACKAGE, BLACK ASH MATTE WOOD TRIM, PANORAMA ROOF. All the aspects of the CLA are exhilarating, from the sleek exterior, to the sporty drive, all the way to the modern interior. You’ll love having this beautiful 4-door-coupe sitting in your driveway. Looking at the exterior of the vehicle, you’ll experience love at first sight looking at the sculpted and flowing curves of the vehicle, paired with a diamond-block grille and frameless door glass. The expressive design of the CLA makes it a truly modern Mercedes-Benz 4-door-coupe. The CLA also has many standard features that further add to the appeal of the vehicle. Inside the vehicle you’ll find a standard central controller paired with a colorful and modern 8-inch display. You’ll enjoy having tons of technology available to you right at your fingertips, such as Hands-Free Bluteooth, a USB audio port, and HD Radio. With all of these features packed into the CLA, you’ll have the time of your life driving inside of it. PREMIUM PACKAGE, CONVENIENCE PACKAGE, SMARTPHONE INTEGRATION PACKAGE, ILLUMINATED STAR, PANORAMA ROOF, LED HEADLAMPS, HARMAN/KARDON LOGIC 7 SURROUND SOUND SYSTEM. 23/31 City/Highway MPG It's always been said that the best things come in small packages, and that is true with the Mercedes-Benz GLA. The GLA may be a smaller sized SUV, but it has the capability, interior room, and athletic genes of a large SUV. Not to mention the large Panorama Sunroof that stretches from the front of the vehicle to the back! Get going right away in this SUV with the push of the KEYLESS GO® button to start the vehicle. The design of the GLA can be best described as athletic, authentic, and adventurous, and this vehicle is always ready for any adventure or trip you'll decide to take it on. The LED Headlamps will have you seeing everything on the road at night, and look great too on top of it. The cabin of the GLA makes a big impression, providing a spacious cabin that is flexible and finely tailored to the driver's and passenger's needs. You'll find the GLA is also full of convenient features, such as Blind Spot Assist, Heated Front Seats, and a Garage Door Opener. You'll be set for any road ahead of you in the GLA, and you'll have lots of fun driving it with features such as Hands-Free Bluetooth®, Dual USB audio ports, and Smartphone Integration through Apple CarPlay and Android Auto. If you're looking for a functional, fun, and convenient small SUV, then look no further with the Mercedes-Benz GLA!PREMIUM PACKAGE, CONVENIENCE PACKAGE, SMARTPHONE INTEGRATION PACKAGE, ILLUMINATED STAR, PANORAMA ROOF, LED HEADLAMPS, HARMAN/KARDON LOGIC 7 SURROUND SOUND SYSTEM. The design of the GLA can be best described as athletic, authentic, and adventurous, and this vehicle is always ready for any adventure or trip you'll decide to take it on. The LED Headlamps will have you seeing everything on the road at night, and look great too on top of it. PREMIUM PACKAGE, CONVENIENCE PACKAGE, SMARTPHONE INTEGRATION, REAR DECK SPOILER, PANORAMA ROOF, 18" MULTI-SPOKE WHEELS, LED HEADLAMPS, HARMAN/KARDON LOGIC 7 SURROUND SOUND SYSTEM. 24/32 City/Highway MPG All the aspects of the CLA are exhilarating, from the sleek exterior, to the sporty drive, all the way to the modern interior. You'll love having this beautiful 4-door-coupe sitting in your driveway. Looking at the exterior of the vehicle, you'll experience love at first sight looking at the sculpted and flowing curves of the vehicle, paired with 18" Multi-Spoke Wheels and a Rear Deck Spoiler. The expressive design of the CLA makes it a truly modern Mercedes-Benz 4-door-coupe. The CLA also has many features that further add to the appeal of the vehicle. You can get the vehicle started with just the push of a button, with KEYLESS GO®. Stay cozy and warm from the Heated Front Seats. Inside the vehicle you'll find a standard central controller paired with a colorful and modern 8-inch display. You'll stay fully connected in the CLA with Smartphone Integration through Apple CarPlay and Android Auto. You'll enjoy having tons of technology available to you right at your fingertips, such as Hands-Free Bluetooth®, Blind Spot Assist, and a Garage Door Opener. With all of these features packed into the CLA, you'll have the time of your life driving inside of it.PREMIUM PACKAGE, CONVENIENCE PACKAGE, SMARTPHONE INTEGRATION, REAR DECK SPOILER, PANORAMA ROOF, 18" MULTI-SPOKE WHEELS, LED HEADLAMPS, HARMAN/KARDON LOGIC 7 SURROUND SOUND SYSTEM. All the aspects of the CLA are exhilarating, from the sleek exterior, to the sporty drive, all the way to the modern interior. You'll love having this beautiful 4-door-coupe sitting in your driveway. Looking at the exterior of the vehicle, you'll experience love at first sight looking at the sculpted and flowing curves of the vehicle, paired with 18" Multi-Spoke Wheels and a Rear Deck Spoiler. The expressive design of the CLA makes it a truly modern Mercedes-Benz 4-door-coupe. PREMIUM 2 PACKAGE, PARKING ASSIST PACKAGE, ILLUMINATED STAR, PANORAMA ROOF, HEATED STEERING WHEEL, TRAILER HITCH, ANTHRACITE POPLAR WOOD TRIM, HARMAN/KARDON LOGIC 7 SURROUND SOUND SYSTEM, BRUSHED ALUMINUM RUNNING BOARDS. Odometer is 1312 miles below market average! The GLE can be considered an innovator of the SUV category. It's an SUV built on much of the history of the Mercedes-Benz brand. The premium SUV leads the way in every aspect of driving, and from every angle of design, from its iconic Illuminated Star on the grille, to the sleek Brushed Aluminum Running Boards. With the GLE in the Mercedes-Benz line, the future only looks brighter and brighter. When looking at the GLE first glance, it gives a very lasting impression. From the distinctive LED Daytime Running Lamps, to the athleticism of the design of the body, it's an SUV that you wall fall in love with at first sight. The Panorama Roof is a great feature that you and everyone else that goes on the ride with you will love. A large sunroof that stretches from front to back, the Panorama Roof will be the life of the road trip. The GLE is not only engineered to please the eye with its looks, but it's also engineered to please through the interior cabin. The cabin is very inviting, with room for five adults to go along for the ride comfortably. The Heated Steering Wheel and Heated Front Seats add more comfort, especially on those chilly cold days. Also, with over 80 cubic feet of cargo, 60/40 split-folding rear seats, and a standard power liftgate, you can bring along all your cargo for your journey. The Trailer Hitch also comes in handy for anything you need to tow along with you on any trip. The COMAND® Navigation System keeps you on track during your drives, and getting lost will become a thing of the past. The GLE is an SUV that aims to please in all aspects; comfort, convenience, cargo, design, and entertainment.PREMIUM 2 PACKAGE, PARKING ASSIST PACKAGE, ILLUMINATED STAR, PANORAMA ROOF, HEATED STEERING WHEEL, TRAILER HITCH, ANTHRACITE POPLAR WOOD TRIM, HARMAN/KARDON LOGIC 7 SURROUND SOUND SYSTEM, BRUSHED ALUMINUM RUNNING BOARDS. Odometer is 1312 miles below market average! The GLE can be considered an innovator of the SUV category. It's an SUV built on much of the history of the Mercedes-Benz brand. The premium SUV leads the way in every aspect of driving, and from every angle of design, from its iconic Illuminated Star on the grille, to the sleek Brushed Aluminum Running Boards. With the GLE in the Mercedes-Benz line, the future only looks brighter and brighter. When looking at the GLE first glance, it gives a very lasting impression. From the distinctive LED Daytime Running Lamps, to the athleticism of the design of the body, it's an SUV that you wall fall in love with at first sight. The Panorama Roof is a great feature that you and everyone else that goes on the ride with you will love. A large sunroof that stretches from front to back, the Panorama Roof will be the life of the road trip. The GLE is not only engineered to please the eye with its looks, but it's also engineered to please through the interior cabin. The cabin is very inviting, with room for five adults to go along for the ride comfortably. The Heated Steering Wheel and Heated Front Seats add more comfort, especially on those chilly cold days. Also, with over 80 cubic feet of cargo, 60/40 split-folding rear seats, and a standard power liftgate, you can bring along all your cargo for your journey. The Trailer Hitch also comes in handy for anything you need to tow along with you on any trip. The COMAND® Navigation System keeps you on track during your drives, and getting lost will become a thing of the past. The GLE is an SUV that aims to please in all aspects; comfort, convenience, cargo, design, and entertainment. PREMIUM PACKAGE, AMG® LINE EXTERIOR, PARKING ASSISTANCE PACKAGE, ILLUMINATED DOOR SILLS WITH MERCEDES-BENZ LETTERING, REAR DECK SPOILER, COMFORT BOX, LED LOGO PROJECTORS, BLIND SPOT ASSIST, PANORAMA ROOF, BURMESTER SURROUND SOUND SYSTEM, 4MATIC®®. 21/29 City/Highway MPG The 2019 E-Class Sedan is everything you could want and more in a luxury sedan. Classy and sophisticated, yet sporty and youthful, you'll find yourself wanting to go on any drive possible in the E-Class. Especially with all of the features that are LOADED inside of this vehicle! At first look, the E 300 is simply stunning, with AMG® Bodystyling giving the vehicle an extra edge of adrenaline and excitement. Opening the driver door, you'll be pleasantly surprised to find LED Logo Projectors that proudly display the Mercedes-Benz Three-Pointed Star onto the pavement below. Get going right away with the push of a button, thanks to KEYLESS GO®. Stay nice and cozy no matter what the weather is from the Heated Steering Wheel. Listen to all of your favorite tunes in crystal clear sound from the Burmester Surround Sound System! Not to mention, you can stay organized in this vehicle with the Comfort Box in the trunk, which keeps everything safe and neat in the trunk during your drive. Parking spots are no longer a challenge in the E-Class, thanks to the Parking Assistance Package which features Active Parking Assist paired with a Surround View Camera. The E-Class wants to assist you in any way possible, and you'll feel confident to take on any parking lot. Not to mention, this vehicle is also equipped with Blind Spot Assist, to keep you more alert of who is in your pesky blind spot. All in all, the E-Class comes with everything you could want and more in a Mercedes-Benz vehicle.PREMIUM PACKAGE, AMG® LINE EXTERIOR, PARKING ASSISTANCE PACKAGE, ILLUMINATED DOOR SILLS WITH MERCEDES-BENZ LETTERING, REAR DECK SPOILER, COMFORT BOX, LED LOGO PROJECTORS, BLIND SPOT ASSIST, PANORAMA ROOF, BURMESTER SURROUND SOUND SYSTEM, 4MATIC®®. At first look, the E 300 is simply stunning, with AMG® Bodystyling giving the vehicle an extra edge of adrenaline and excitement. Opening the driver door, you'll be pleasantly surprised to find LED Logo Projectors that proudly display the Mercedes-Benz Three-Pointed Star onto the pavement below. Pre-owned pricing includes all offers. Tax, Title and Tags not included in vehicle prices shown and must be paid by the purchaser. While great effort is made to ensure the accuracy of the information on this site, errors do occur so please verify information with a customer service rep. This is easily done by calling us at (888) 352-7158 or by visiting us at the dealership. 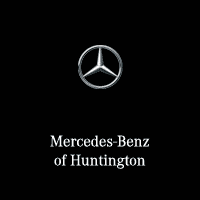 When you shop from our Loaner to Owner inventory, you are looking into one of the smartest way to join the Mercedes-Benz of Huntington family. These gently used, low-mileage vehicles are in showroom condition, and there are many exceptional offers on these vehicles to help you get behind the wheel of the Mercedes-Benz you deserve. Best of all, each of these retired courtesy vehicles qualify for the Mercedes-Benz lease and finance specials, giving you the most options for acquiring a new Mercedes-Benz. To learn more, or to see our previous service loaner vehicles, be sure to contact us or stop into our showroom today to speak to one of our friendly Sales Consultants. Conveniently located between Huntington Station, East Northport, and Dix Hills, you are one step away from getting into that Mercedes-Benz you have been thinking about. We look forward to seeing you!